This week, our lovely (and cute as a button!) 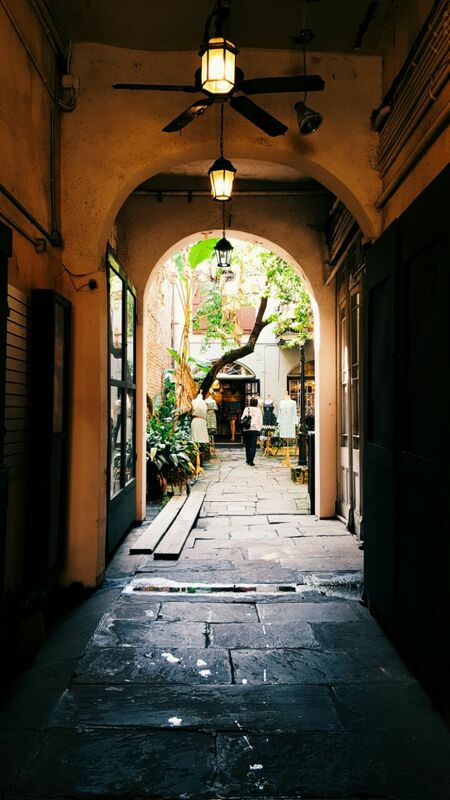 friend Nat Wong (@natmozzie) gives us the lowdown on how to spend a weekend in the birthplace of jazz, New Orleans. Stay tuned for her post next week on the famous New Orleans Jazz & Heritage festival! 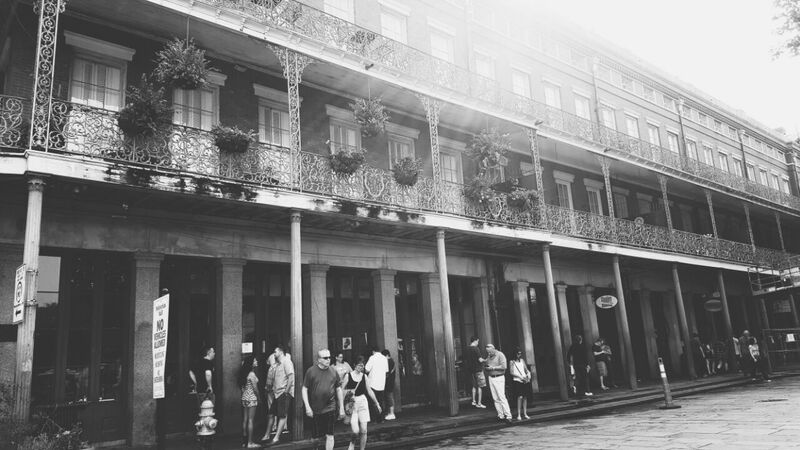 It had always been my dream to visit New Orleans. 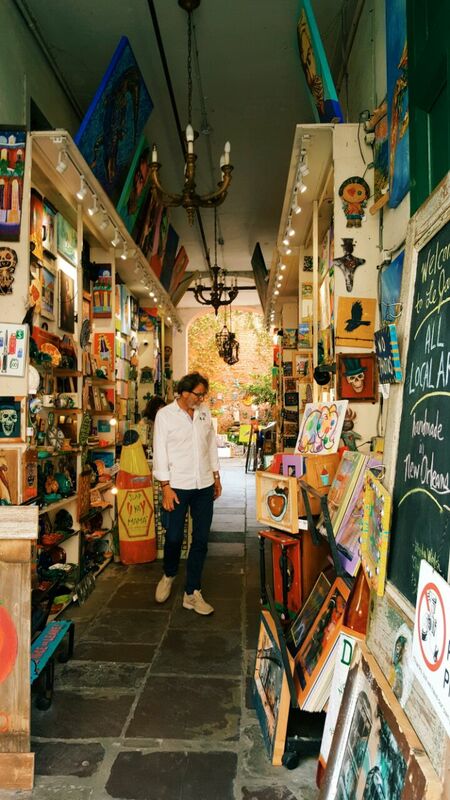 For culture addicts, the largest city in Louisiana is certainly one of the holy grails of travel destinations. 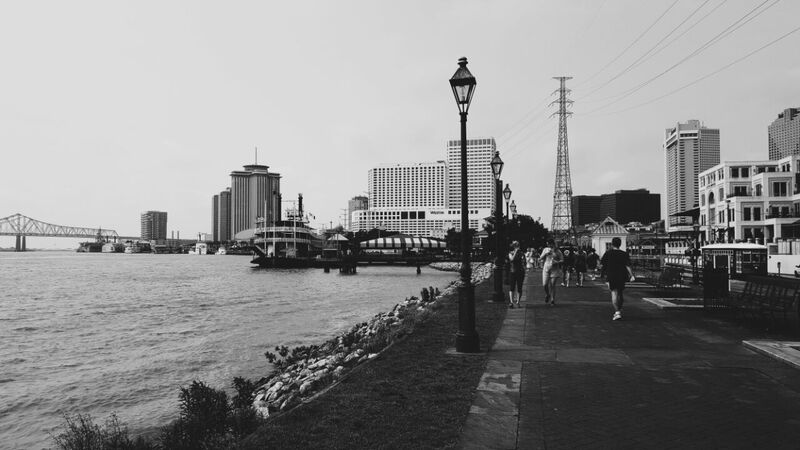 ‘NOLA’, ‘The Big Easy’ or ‘The Crescent City’ as New Orleans is also known, is the birthplace of Jazz. A genre of music that has produced some of the world’s greatest musicians of the twentieth century. Big names such as Louis Armstrong, Fats Domino and Sidney Bechet all hailed from NOLA. It is due to the extraordinary history of ‘N’awlins’ that enabled the legacy of European classical music to merge with Afro-Caribbean influences, giving birth to a style of music which provided a defining soundtrack to the 1920s and 1930s. The city is also famous for its food heritage. 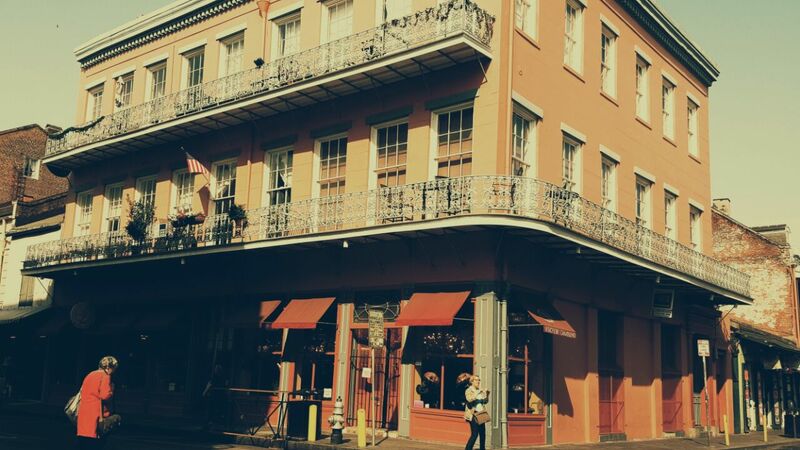 The cuisine of New Orleans is a rich mix of West African, French and Spanish influences. NOLA has so many signature dishes I was rather stressed in my attempt to try absolutely everything on my weekend trip – famous foods include: gumbo, jambalaya, andouille, crawfish etouffee, muffuletta, beignets and so on. 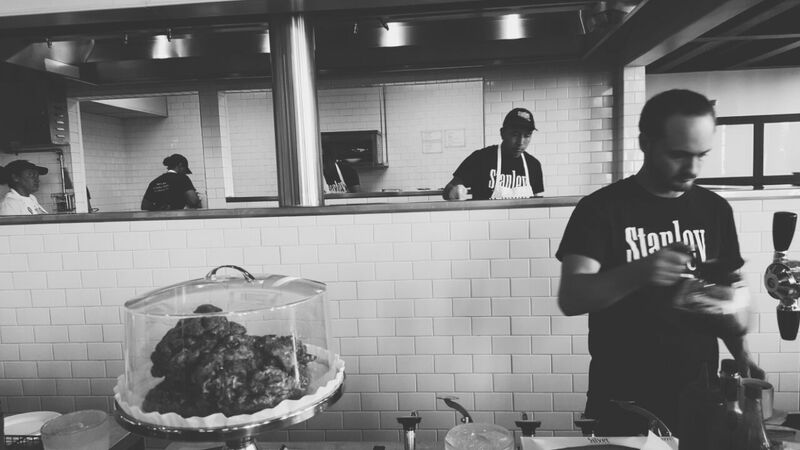 Combine this with the geographical locality of being in the South, and you will find some of the best fried chicken and barbequed ribs around. Praise Jesus. I have arrived in food heaven. I took advantage of my jet lag to wake up early and research the best places for breakfast. You know where your priorities lie when you are scrolling through various websites and reviews at 5am in the morning. In the end I picked Stanley (547 Saint Ann Street). 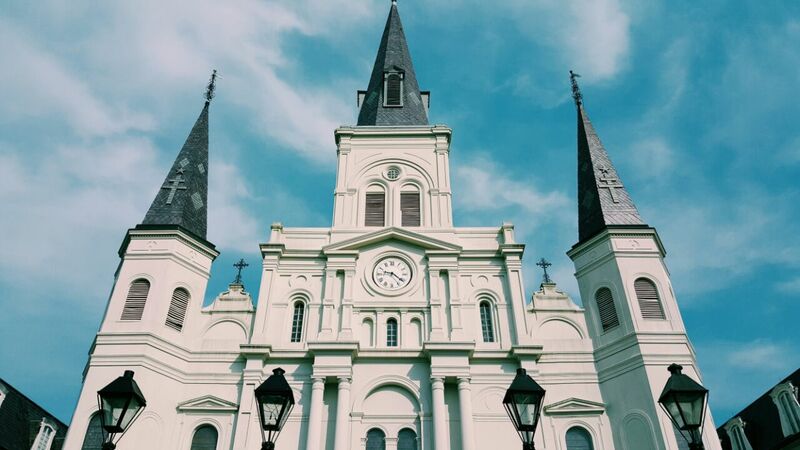 The restaurant can be found on the historic Jackson Square where you can see the famous St Louis Cathedral and downtown New Orleans from your window table. Stanley is a pioneer of pancakes (voted ‘America’s Best Pancakes’ in 2014 by Travel & Leisure) and a bastion of breakfast genius (‘Stanley’s greatest accomplishment is its breakfast’ – NOLA.com in 2014). 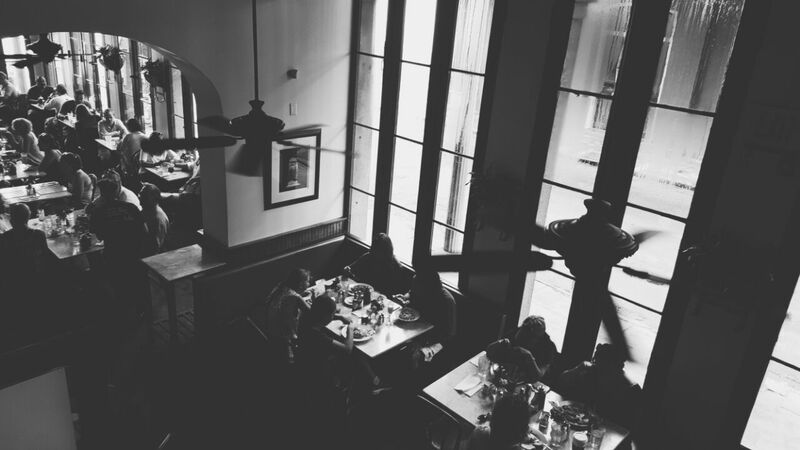 The restaurant is housed in a building which is a hybrid of colonial French-Creole architectural styles with wrought ironwork balconies, typical of buildings in the Quarter. If you go on weekends, make sure you are there before 8.45am. 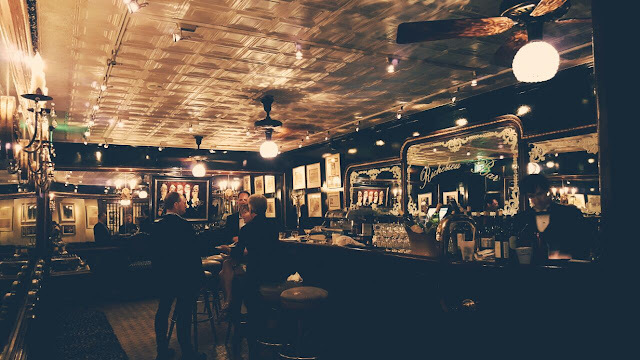 Without a reservation, this place gets packed pretty quickly. 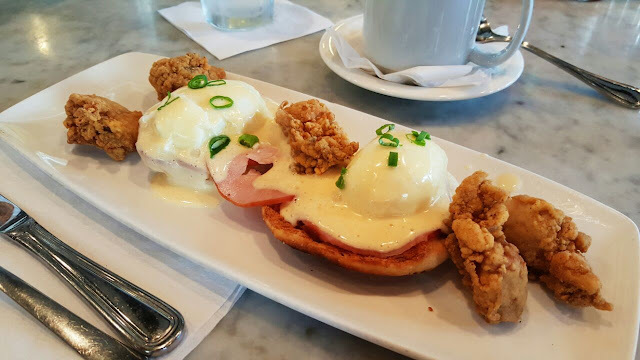 Their signature breakfast is the ‘Eggs Stanley’ - cornmeal crusted Louisiana Oysters, poached eggs, Canadian bacon with hollandaise on toasted English muffins. Pretty good and extremely filling. It is the classic breakfast with a Louisiana flair. After rolling out of Stanley, I walked around the French Quarter visiting the famous St Louis Cathedral, walking down the side streets and exploring their unique shops (and their awesome signboards) and food stalls. Although a tad bit touristy, the warmth of the locals, the content and design of the buildings will more than make up for it. There were a couple of people on bikes, riding around the Quarter. This is also an alternative option to experience the area, but after a full breakfast, I’m not sure it’s advisable. 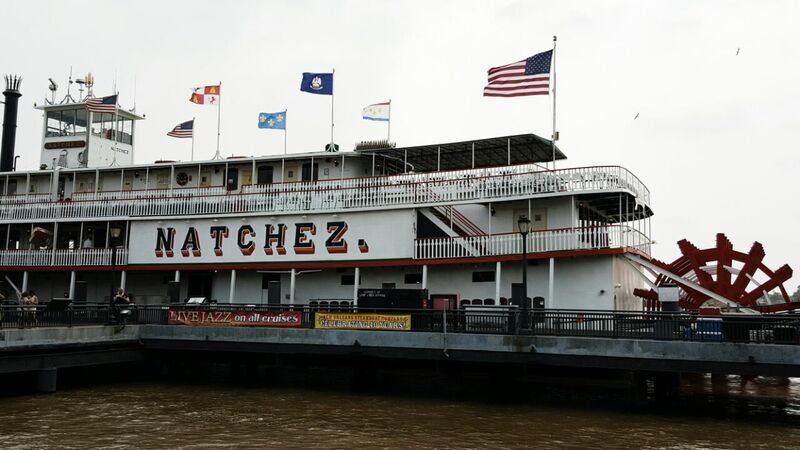 Following my meander, I made my way to Toulouse Street where my steamboat ‘Natchez’ was docked. 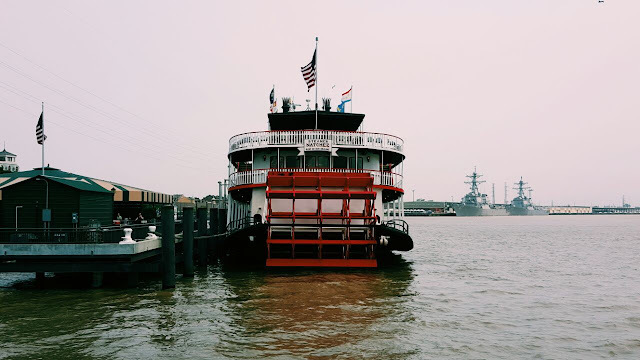 It’s a two hour ride on an old fashioned steamboat where a live four-piece jazz band entertains you as the captain gives a talk about what you see. In my opinion, it wasn’t the most exciting experience and I think you could give this a miss if you are pushed for time. However, the part I enjoyed was physically sailing along the giant Misissippi river. 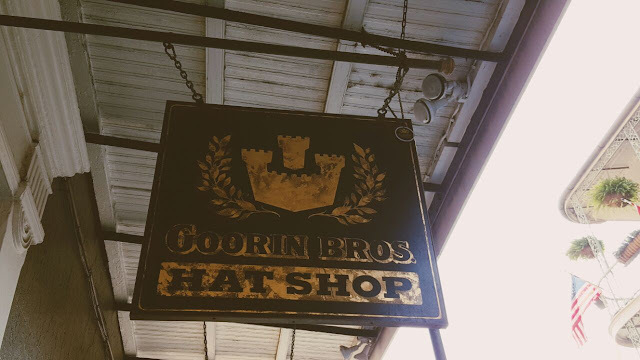 A major landmark of America of which New Orleans was a major port back in the day. It’s more of a historical trip but the experience of seeing small reminders of Katrina’s devastation was incredibly humbling. As we docked back at 2.30pm, the heavens opened and I was caught in a torrential downpour. Let me say one thing. The weather in Louisiana is very extreme. It can go from a sunny 28 degree morning to an end-of-the-world rain storm in a drop of a hat. I am not exaggerating for creative effect. As I was coming for the annual Jazz festival, I had no choice but to come in late April. Unfortunately, this is also hurricane and tornado season. When people think about cemeteries, it usually invokes an automatic fear of the undead. Naturally, things are done differently in NOLA. 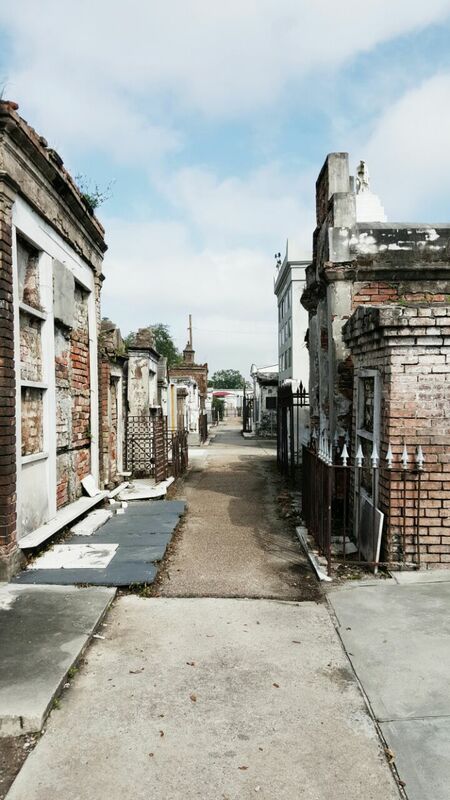 Unusual as it may seem, one of the many famous landmarks of New Orleans are its cemeteries. 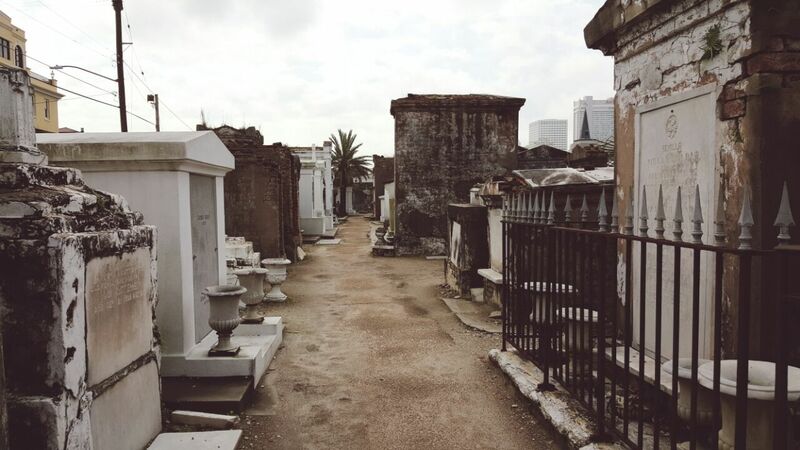 So famous are the monuments of the departed, that several operators arrange daily cemetery and voodoo walking tours. How could I not go? 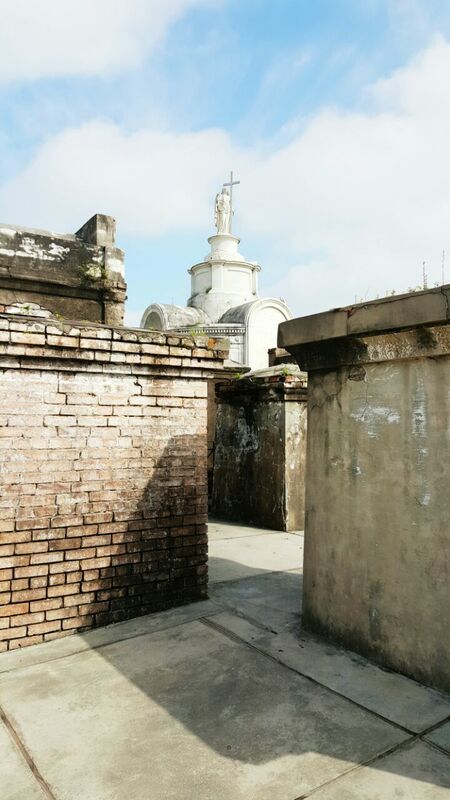 I did the St. Louis Cemetery No. 1 tour, operated by Gray Line. The tour itself cost USD26 and began at 9am, finishing at 11am. The cemetery, also known as ‘The City of the Dead’, was made famous by the 1969 movie Easy Rider, starring Peter Fonda and Dennis Hopper. More recently, Disney featured the City of the Dead in one of the scenes in ‘The Princess and the Frog’. The cemetery dates back to the late 18th century and is the oldest active cemetery in the city. A unique feature of the cemetery is the fact that the tombs are all above ground. The constant flooding of the area meant that the people of New Orleans had to find a solution to unwanted floating corpses. An interesting feature of the tombs are their designs. 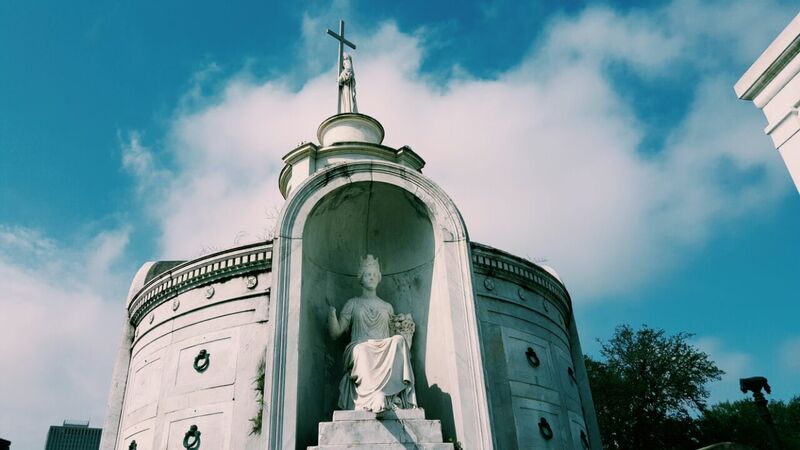 Wealthy plantation owners had means to hire architects to design their final resting places and you can see Greek revivalist elements in many of the tombs. Prominent families had tombs made from marble imported from Italy. Special imagery carved into the stone was particularly fascinating. Wreathes symbolized winning the competition in life; ribbons represented tying the present to the past and upside-down torches conveyed the snuffing-out of life. Highlights of the tour include the tomb of the famous Marie Leveau, a Creole Catholic but also a practitioner of Voodoo or ‘High Voodoo Priestess’. The practice of Voodoo is older than Christianity and was introduced into New Orleans from Senegal. 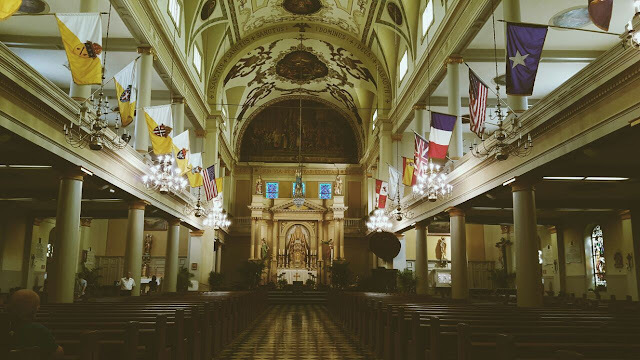 Historically, when slaves were brought over to the US, they were indoctrinated into Catholicism. However, most slaves were given the freedom to assemble on Sunday afternoons and they congregated near the cemetery at Congo Park. In this way, they would continue practicing their old beliefs, which is how the practice of Voodoo survives today. 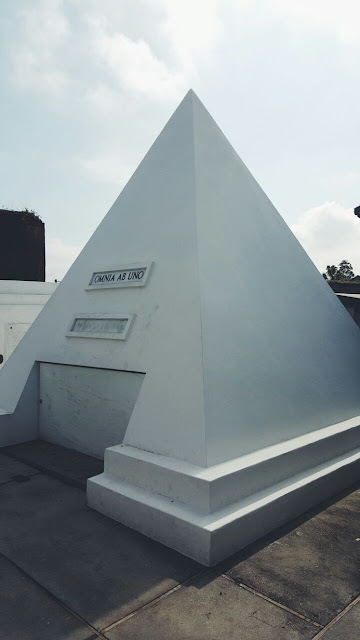 Other highlights include Nicholas Cage’s tomb pyramid and the tomb of Homer Plessy, a free man of colour in the late 1800s, a precursor to the civil rights movement in the States. In the case of Plessy v Ferguson, the ‘Separate by Equal’ doctrine was enshrined in the case’s ruling until it was overturned by the landmark case of Brown v. Board of Education in 1954 and later outlawed by the US Civil Rights Act of 1964. 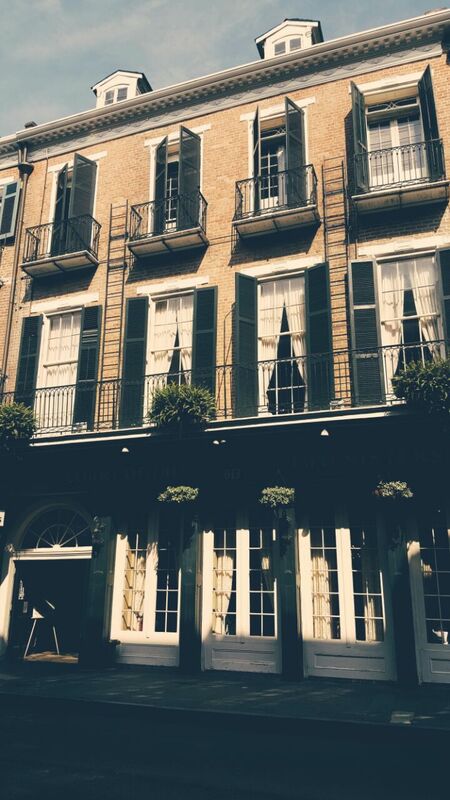 NOLA is such a special place. From the people to the food. From the music to the buildings. From the river to the Quarter. I will not easily forget the kindness of total strangers. On the Sunday, I couldn’t get a taxi and missed the bus in the hope of reaching Café du Monde to try their world-famous beignets for breakfast. 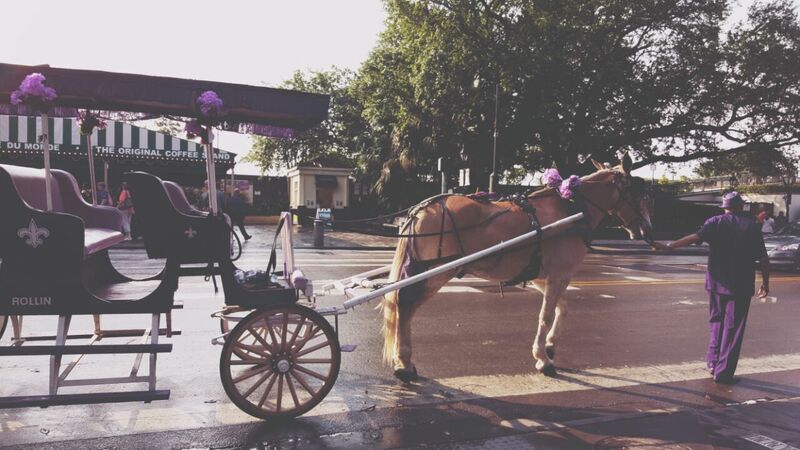 Wondering what to do by the side of the road, a random purple cart with a driver who called himself ‘Mr Purple-licious’ (because he was always dressed in purple) and a 200 pound mule called ‘Knucklehead’ rode by. Seeing my predicament, Mr Purple-licious offered me a ride into the Quarter … for free! He was on his way to work as a tour-guide and he would pass by the place I wanted to go. 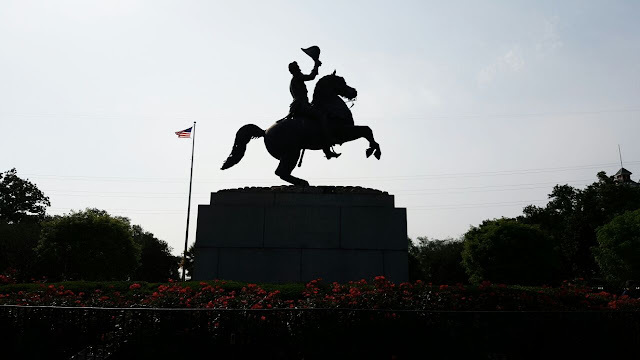 I even got a free history lesson on New Orleans during my ride! 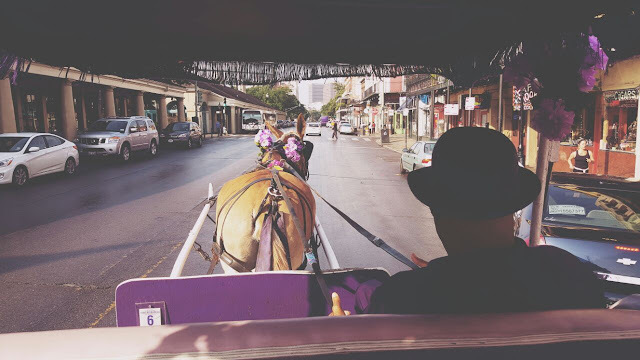 Another time I was in a cab back to where I was staying and the driver was Haitian. I knew that in Haiti they spoke both French and Creole. Using my rusty French, I learnt a bit about the history and relationship between the two languages and the Creole people. 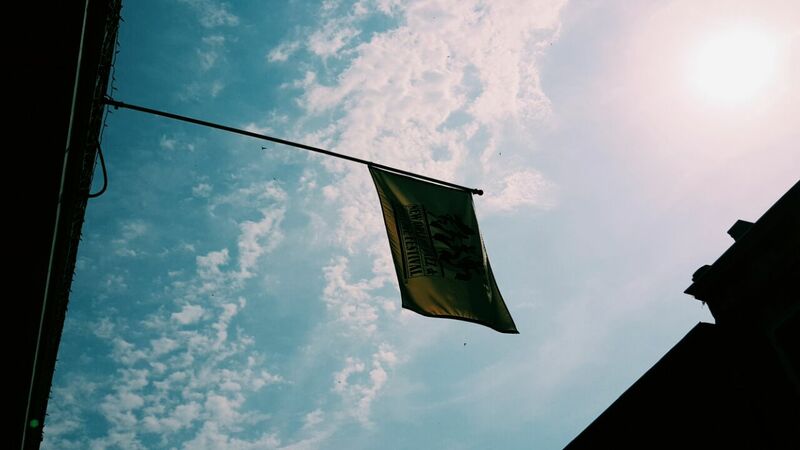 When the day came to fly to my next destination, I couldn’t believe everything I had done in 48hrs. Yet there was still so much to see and do. The city has much to offer. It is so vibrant in culture, rich in history, packed with delicious things to eat and undeniably warm to all its visitors. What a place.